Listen to an interview on Lights Camera Austin with staff Danea Johnson and Austin School of Film Program Director Faiza Kracheni. Watch an interview on Fox 7 News. We had to be up before the sun rose for this interview! You couldn't tell by watching the interview. Happy Hour on February 21 at Hops and Grains! Excited to announce we are the January Non-Profit Hustler Spotlight presented by Hustle For The Cause! Hustle For The Cause is a social impact brand and event production firm in Austin, Texas, and owned by LGBTQ Women of Color. 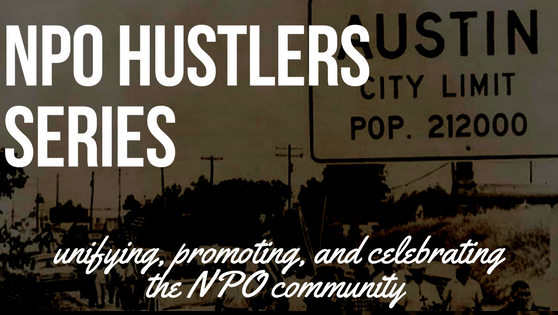 We will also be the beneficiary of the February NPO Hustlers Happy Hour at Hops and Grain alongside one other area non-profit! Read more about the Women's Community Center of Central Texas, and how you can get involved with our upcoming annual Women's Empowerment Conference (WE Con). We are thankful for all the community connections we've made over the past few years. You all are what makes our programs work! We will continue with the Women's Empowerment Conference (WE Con) on April 22, and Alt Girl Cinema. This year's WE Con theme is Building Resilience & Thriving, and it's a hopeful motto going into 2018. Looking forward to see you all soon, and building our communities of resilient women! ALSO, we love this feature by Austin Woman Magazine. Read it, and let us know what you think!